If you read our Boomtown picks for 2017, you’ll know the festival tops the list as the country’s zaniest. 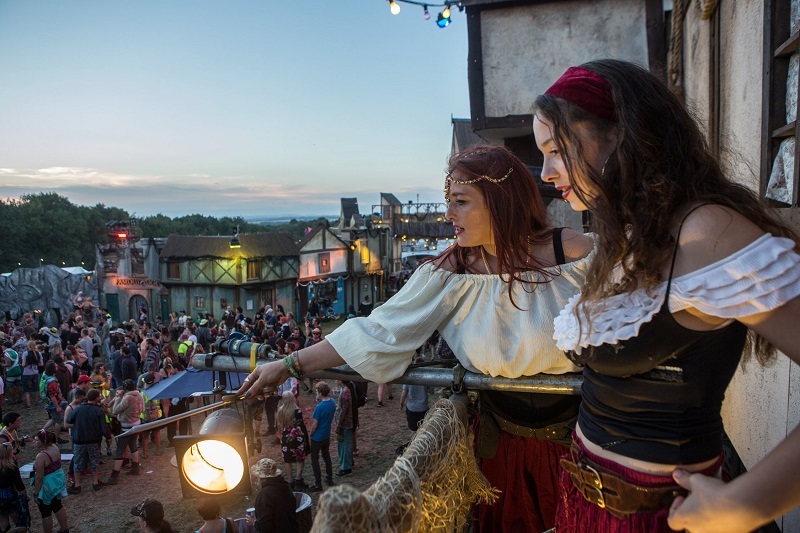 A festival juggernaut, its lasting memory is the work of hundreds of actors who populate the fictitous town of Boomtown for one weekend only. 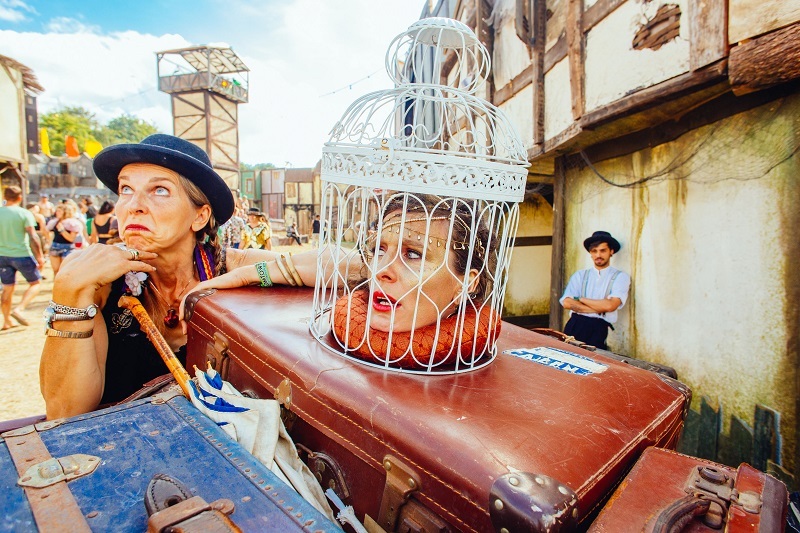 Boomtown is now a festival juggernaut famed for their innovative set up, which seems hundreds of actors engage with festivalgoers across nine immersive festival ‘districts’. 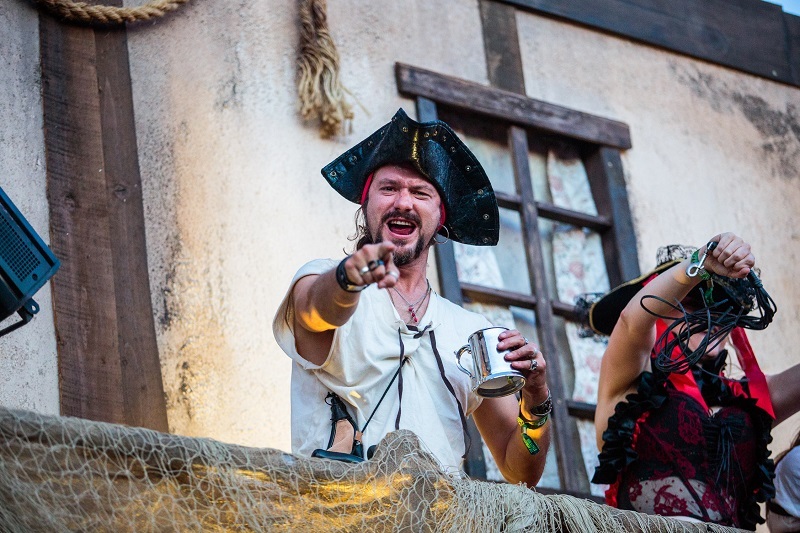 Boomtown becomes a fictitious place on the map for one weekend in August, with theatrics at the heart. When Culture Or Trash have gone in the past, we’ve been (willingly) kidnapped and held to ransom by pirates, and avoiding bullets in the Wild West. But the challenge in their ninth year is to keep things fresh and Creative Director Natalie Smith confessed her Chapter 9 plans to Culture Or Trash. ‘Getting punters to interact with characters was a bold idea a few years ago’ Smith said. While we’re keen to see the site’s new technical improvements, we love how traditional theatre has a 360 effect on site and Smith explained that there’s been more texture added to the storyline for the ninth edition. Smith explained ‘There are specific directors and teams for each district working with lighting designers to make sure all the amazing characters are illuminated, even at night time, populating over 6 hours each evening. Smith said the passports given to guests and stamped when on-site tests are completed were a big production challenge, but that this year a Smuggler’s Den and Bang Hai Palace improvements have meant late nights and deep discussions with her head team. ‘I’d say the immersive trail [was a huge challenge to implement]. People steal blueprints from the town hall and run them back to the Smuggler’s Den and take part in the Revolution by helping to take down Bang Hai Palace on the Sunday night. 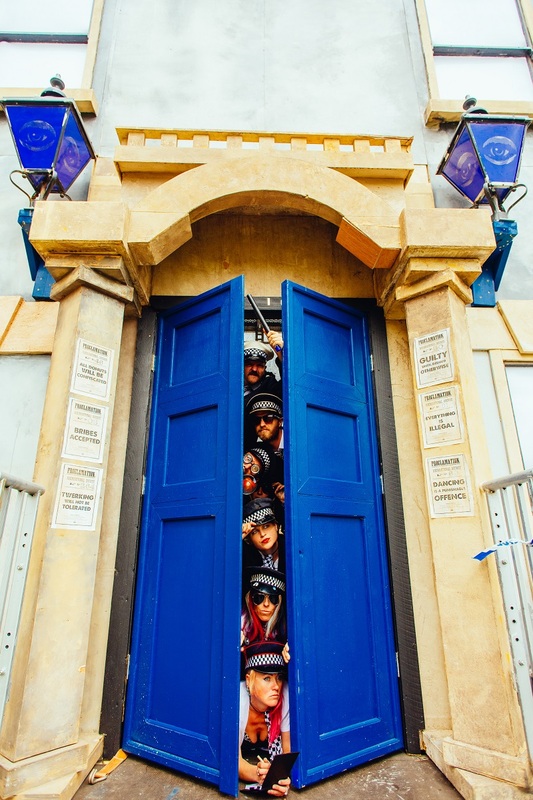 ‘The trail is really incorporated into the overarching Boomtown storyline and is about getting people to go into new venues and look at the sets but more importantly engaging with the event because for us, theatre is only truly immersive when people change the outcome.